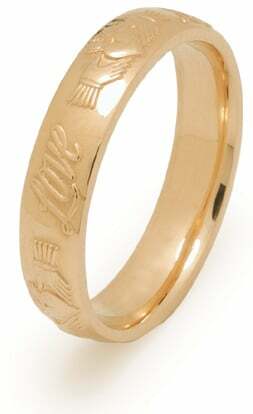 This beautiful court style ring without trims shows the Claddagh symbol, and has three words written on the ring saying “Love, Loyalty, Friendship”. 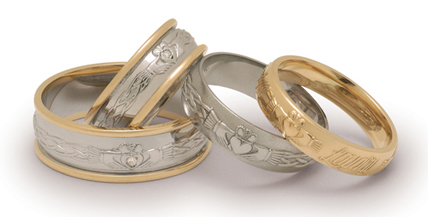 14ct Yellow or whites Gold. 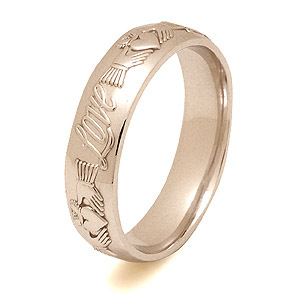 This beautiful court style ring without trims shows the Claddagh symbol, and has three words written on the ring saying “Love, Loyalty, Friendship”. 14 White, yellow or rose gold.